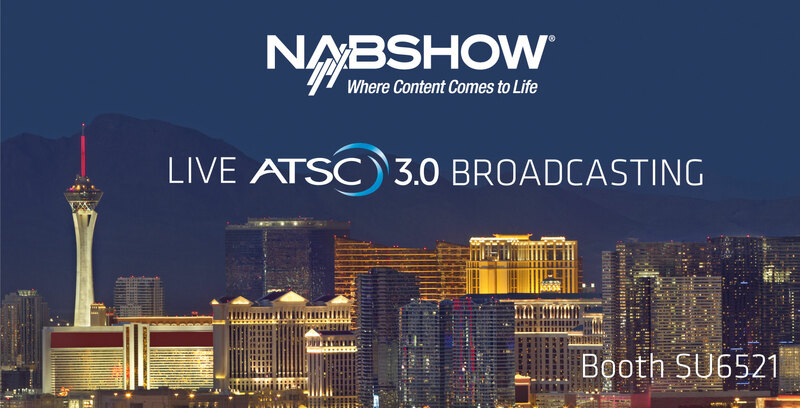 NAB 2018 provides visitors with the chance to see ENENSYS’ market-leading ATSC 3.0 product range. Broadcasters, including SBS in Korea, have already deployed the technology for live delivery of 4K services, focusing on the Winter Games. It’s also being used in an ongoing trial conducted by NAB, in conjunction with the Consumer Technology Association, in a test station in Cleveland, OH. In addition, Pearl TV is using the technology as part of its Market Model Trial and so is WRAL in Raleigh, NC. The company is highlighting two main solutions: its ATSC 3.0 Scheduler/Broadcast Gateway called ATSCheduler, in conjunction with the ROUTE & MMTP packager called ATSCaster, for efficient live service delivery, and ATSC 3.0-compliant IPGuardV2. As ATSC3.0 compression is based on DASH or MPU segment generation, ATSCaster is designed to create the ROUTE or MMT packaging and generation over IP multicast streams for live services, including the signaling of these services. Then ATSCheduler encapsulates the IP incoming streams and the non-real-time content from dedicated servers and outputs the resulting ATSC-compliant multiplex using the STL-TP (Studio to Transmitter Link Transport Protocol) over IP. The ATSCheduler runs in ENENSYS’ HDc chassis that can hold up to six ATSCheduler modules in 1RU. ATSC 1.0/ 3.0-compatible IPGuardV2 provides smart and automatic redundancy for all IP-based appliances and networks and is designed for any customer that needs to secure IP stream transport or generation. It’s a unique and secure solution that enables 1+1 automatic IP switching with bypass mechanism. Designed for IP architectures, and fully ATSC 1 & 3.0-compatible, it allows switching between main and backup IP sources based on a set of configurable criteria, in order to provide reliable IP transport and error-free streams offering equipment or network automatic seamless redundancy. ENENSYS will also highlight its AdsEdge solution, which provides targeted local content insertion in DTT and cable networks. This real-time splicer and server-in-a-box manages up to eight services in parallel and can be located at the edge of networks. It also includes Campaign Manager. Campaign Manager ensures that the right content is received correctly and is supplied to the AdsEdge splicer in the correct timeframe. These the key components of this innovative live-to-file splicing solution. OneBeam ISDB-Tb – ENENSYS will also demonstrate its comprehensive ISDB-Tb solution designed for Brazil and other Latin American countries. At transmission sites, the company’s TbEdge is able to receive and decrypt the DVB-S signal in order to generate a BTS for MFN or SFN broadcasting. It can also update SI information such as the translation of DVB NIT into ISDB-T NIT, updating virtual channel names and service names, for instance. Additionally, it can reuse the DTH signal to build the ISDB-T multiplex to save satellite bandwidth capacity. The same solution can be used across multiple regions to offer service regionalization.